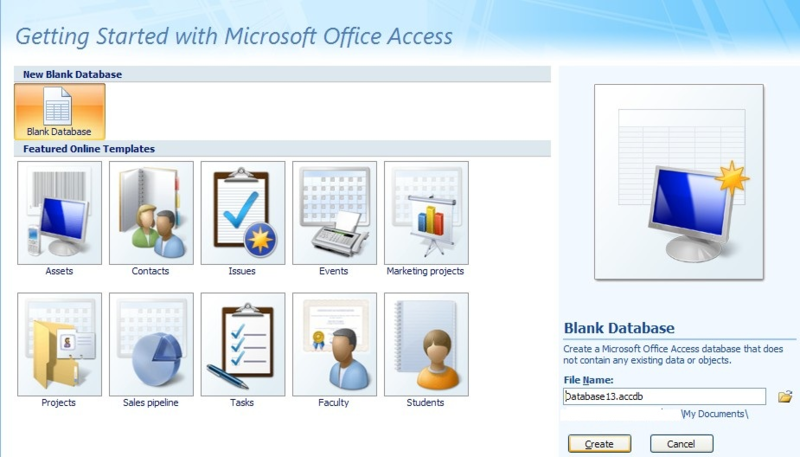 Everything almost worked perfectly with the installation and linking to MS Access 2010 and QuickBooks Pro11. The tables I needed were linked to my database in Access. However, my question is how do I update (or can I update) QuickBooks using a form (linked to my tables downloaded to Access Form using QODBC )in MS Access? You can insert/update/delete records through access local table you need to write VBA script to perform the SQL operation or Can execute existing Queries Or can link the form to the existing table. 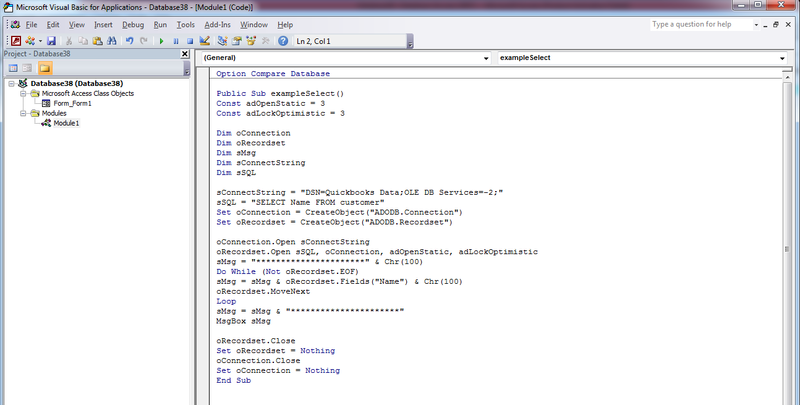 Please refer below steps which contain a sample tutorial for How QODBC can work with VBA. The tutorial is for sample reference only for further requirements you need to develop a form or write scripts which will fetch data from a local access table perform the insert operation in QuickBooks using QODBC. Hi, is there a way to get the "write" feature to work with Excel without using MS Access? Is there any way to use this VBA in excel to write to serverside quickbook tables? You can access QuickBooks Data remotely by installing QODBC on both machine (i.e. On QuickBooks application server & on your machine). If your QuickBooks application is installed on another machine, then you can connect to QuickBooks from a remote machine using QRemote Server. You need to install QODBC on both machine. You need to use QRemote DSN in VBA for accessing QuickBooks data remotely. You need to run QRemote Server on QuickBooks machine & try to connect from your workstation using QRemote Client. QRemote Client should point to QuickBooks Server IP & Port. There is no code needed for importing QuickBooks Data into MS Access local table. You can import table directly. now with 64-bit, QB 2016 - would i have to update Server, as i'm using the REMOTE for 64-bit? qd.Connect = "ODBC;DSN= QuickBooks Data 64-Bit QRemote;SERVER=QODBC"
We may need the following information, Please attach below listed files when replying to the ticket. After insert a customer or invoice, how can I get the ListId of that customer or TxnId of that Invoice? You need to run below command using the VB demo to retrieve the last transaction created from the table. SP_ LASTINSERTID command Returns a recordset with one row or multiple rows and two columns containing the last ListID or last TxnID from the last insert done and it error status on the current connection. The value is obtained from the return value of the last insert performed on the same connection for that table. Please make sure that you are executing SP_LASTINSERTID command in current connection if the connection is reset you will not get the last inserted id.